When designing magnetic shielding products for airline cockpits, space shuttles, and fighter planes, we face many unique challenges. Weight is always a concern. Being sensitive to this fact, we always look to develop the highest performing shield from the lightest materials possible and often design in strategic perforations to further reduce weight without affecting the shield’s performance. The second challenge is often design and geometry. 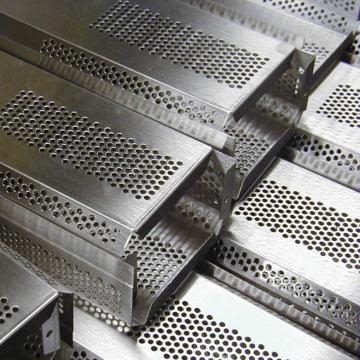 Shielding is typically one of the final steps in product development, which means that shield design is often dictated by the available envelope and must be fabricated within existing tight tolerances. Over the past 45 years, we have worked with world leaders in the aerospace industry. We have the capabilities and the knowledge to confront these challenges fearlessly and deliver exceptional results. We comply with the requirements of MIL-I-45208 and continue to evolve our quality systems to ensure our partners receive shielding products of the highest quality. No matter where you are in the development phase, please do not hesitate to contact us. We are always available as a technical resource and collaborator.